The cabin is surrounded by trails. Enjoy the trails and trips in all different areas. Enjoy Gogebic County and also Ontonagon County (just north of cabin). Cabin has circle driveway great for trailers and extra vehicles. Sleeps many and reasonable rates. Family and friend destination areas. Take the fourwheeler on the trails and go by some National Forest Lakes or other lakes. 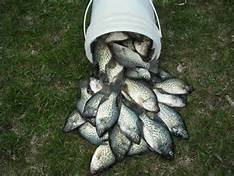 Fish from the shore on some of the lakes for panfish or other fish. Then, come back to the cabin for a meal and relaxing. There are a variety of National Forest Lakes. Look at the mapbooks in the cabin for lakes. And, then look at the MI-TRALE book or information on forestry roads, etc. that allow ATVS, ORVs, etc. Or, call the forestry department in Watersmeet for more information. Or, the Visitor Center in Watersmeet. Find some secret spots for your fishing and fun adventures. 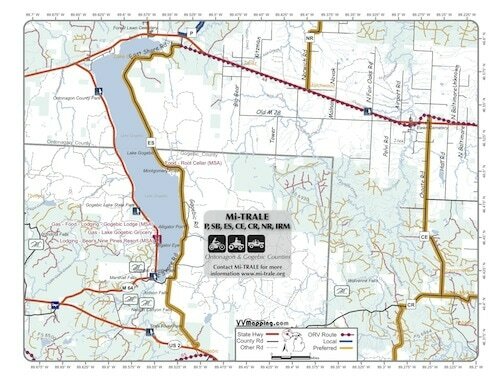 There is information in the MI-TRALE mapbook (from www.mi-trale.org) that has information on trails by historic mining areas for copper, over trestles, and other areas and information. ROGERS BAR: Every year Rogers Bar (which is down the road from the cabin) or Dutch's Bar (Marenisco, west of cabin) has a Poker Run or ATV Run. Look for times in the Spring and or the Fall. A listed Fall Ride for 2017 is September 30, 2017. Call 906-358-4435. HURLEY: And, then also there is a Poker Run West of the cabin in Hurley. That one is in May generally. Either ATV ORV to the Poker Run or trailer them. Then return to the cabin to relax after a days riding, warm shower, relax, etc.